LONDON, UK / ACCESSWIRE / September 14, 2018 / Contracts for difference (CFDs) have been gaining in popularity worldwide, offering institutional and retail investors alike access to derivatives trading. While CFDs provide a flexible and transparent way to play both falling and rising markets, traders usually require the guidance of an experienced, customer-centric provider to assist with the development of a sound strategy and help minimize risks. FidLo International, a regulated UK-based investment broker, is emerging as a strong contender, handling an ever-growing volume of CFD transactions for an expanding customer base. CFDs originated in the early 1990s in the UK, where they initially served as a means for institutional investors to hedge their equity exposure in a cost-effective way. By the end of that decade, the derivative financial instruments had become available to private clients and retail investors, marking the start of strong growth in this market. According to Lexicon.ft.com, ''A contract for difference (CFD) is essentially a contract between an investor and an investment bank or a spread-betting firm. At the end of the contract, the parties exchange the difference between the opening and closing prices of a specified financial instrument, including shares or commodities.'' Because CFDs are not traded publicly, estimating the size of the market is challenging, but vast data clearly speaks of the popularity of these financial products. According to Aite Group, daily CFD trading volumes had reached upwards of $75 billion by 2017 versus $22 billion in 2007. The Boston-based research company believes the figure could rise to $94 billion by 2019. The UK Financial Conduct Authority estimated that the number of local CFD companies had grown twofold since 2010, with client funds held by them amounting to almost 3.5 billion pounds, as reported by Bloomberg in 2017. There are several characteristics that make CFDs so attractive for investors, FidLo International explains. They require no ownership of the underlying asset and are traded on leverage, which makes it possible to start with a modest sum. Moreover, CFDs allow investors to go either short or long while participating in a wide range of markets, for example, stocks, bonds, commodities, or currencies. Other advantages include the lack of a fixed contract size or an expiry date, as well as the prevailing use of a no-fee model. Operating through a team of expert advisers and analysts supported by sophisticated technological solutions, FidLo International is building a strong presence in the CFD market and registering a continuously growing volume of transactions. The company's success is due to a combination of investment management expertise, technological know-how, commitment to individual customer needs, and a sharp focus on security. 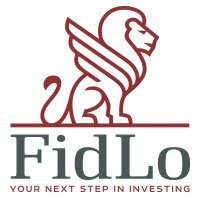 One of the major players in the investment brokerage space, FidLo International is regulated by the Cyprus Securities and Exchange Commission and the British Virgin Island Financial Services Commission. FidLo International aims to differentiate itself by treating each investor as exclusive, helping clients build diverse portfolios that maximize benefits while taking into account individual goals and risk tolerance. With advanced technological solutions, a team of market experts, and a sharp focus on communication, the company is dedicated to delivering the best outcomes for investors in stocks, CFDs, and other financial instruments.